No one reaches success on their own. Whether it's for a business adventure or you are training for the next Olympics, we all need someone for guidance, encouragement, and motivation. These quotes about mentors will make you see just how beneficial a mentor can be for you, making you want to show appreciation for them and to be others' mentor, too. Being a mentor means giving. You'll go further with the assistance and hope of someone else. 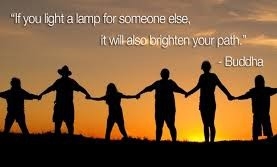 You will bring yourself happiness when you help others along. They will help you see things about yourself that you never knew possible. They will help you believe. You can find mentors unexpectedly. They can see things more clearly. You won't be able to find anyone like them. These quotes will encourage you to be a mentor yourself. Role models are types of mentors. They will help you create your dreams. They won't always tell you what you want to hear. You will reach success faster. 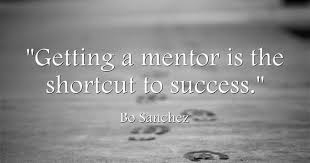 You can learn more from a mentor than from a traditional education. It is a give and take. They will point out your mistakes. Be careful who you choose as your mentor. With understanding, mentors will guide you better. That's why they are great. If you have found one, you are really lucky. Both professionals and amateurs need mentors. To end our list of quotes about mentors, let's see what Steven Greenberg said.